TALLAHASSEE, Fla. – No. 13 Florida State (36-16) swept a doubleheader against Mount St. Mary’s (20-28) Saturday, winning game one 10-0 and game two 8-2. Cal Raleigh hit home runs in both games and Reese Albert had five RBI on the day. On the mound, FSU struck out 20 batters and allowed just two runs in the two seven-inning games. “We had exceptional pitching performances from Andrew Karp,” head coach Mike Martin said. “He pitched beautifully. Just dominated the other club. CJ Van Eyk gave us exactly what we need, which was five good innings. Andrew Karp struck out 10 batters and allowed just two hits in his second complete game of the year as FSU beat Mount St. Mary’s 10-0 in game one. Jackson Lueck and Cal Raleigh each hit two-run home runs, and freshman Reese Albert was the only Seminole with two hits and added a career-high three RBI. FSU drew nine walks and added five extra base hits. In Friday’s opener, nine of FSU’s 11 hits went for extra bases. Karp (8-4) became the first pitcher in the Atlantic Coast Conference to reach the eight-win barrier. Brenden Kennedy (4-3) went 3.2 innings for the Mountaineers, allowing nine runs (eight earned) on seven hits and four walks. Cal Raleigh finished 3-for-3 with two doubles and a home run as FSU swept the doubleheader with an 8-2 win in the night cap. CJ Van Eyk (4-0) allowed a pair of runs in five innings, striking out seven, and Clayton Kwiatkowski struck out three more over the final two innings. Raleigh’s three extra-base hits were a career high and he homered in both ends of the doubleheader. J.C. Flowers had a pair of hits, including one of FSU’s eight doubles on the day, after returning Friday from a six-week jaw injury. Freshman Reese Albert hit his sixth home run of the year in the first inning. Albert had five RBI on the day after tying a career high with three in game one. FSU improved to 4-0 on its season-ending eight-game home stand. The Seminoles have thrown four shutouts this season. Cal Raleigh hit his 10th and 11th home runs, one in each game. His previous high for a season was 10 (2016). Raleigh has a team-high 46 RBI and his average has jumped from .283 to .323 over his seven-game hitting streak. Raleigh finished game two with two doubles and a home run, his second game this season with two doubles (at Georgia Tech). Reese Albert had five RBI over Saturday’s two games (3 & 2). Albert’s three RBI in game one tied a season high (3 vs. JU on May 9). G1: Andrew Karp struck out 10 batters, his fourth career game with at least 10. FSU’s starting pitchers have struck out 28 and walked just three in 19 innings against Mount St. Mary’s. G1: Karp earned his second complete game of the season (8.0 IP vs. Florida). G1: Rhett Aplin extended his streak of reaching base to 30 games with a 1st inning walk. He added his team-high 18th double in the third inning. G1: Kyle Cavanaugh reached in both plate appearances. He successfully reached base in eight straight plate appearances (four walks, three singles, hit by pitch). G1: FSU’s four-run fourth inning was the 22nd “big inning” (at least four runs) in 2018. G1: Rafael Bournigal had a sacrifice bunt, his team-high fourth of the season. G1: Jackson Lueck hit his team-high 13th home run in game one, and second of the weekend, to give FSU a 7-0 lead in the fourth inning. 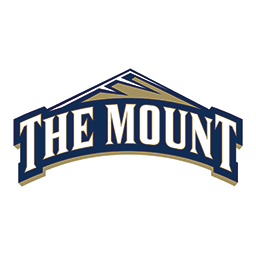 G2: Mount St. Mary’s runs in the third inning snapped a string of 25-straight FSU runs between games one and three. Florida State hosts Mount St. Mary’s for Sunday’s finale scheduled for 12:00 p.m.
Ariya Massoudi and Chip Baker will call the game for ACC Network Extra. Eric Luallen will provide play-by-play on the radio in Tallahassee on 106.1 FM and nationally on the FSU Gameday App. RHP Cole Sands (6-2) will pitch for the Seminoles. The Mountaineers have not announced a starter.